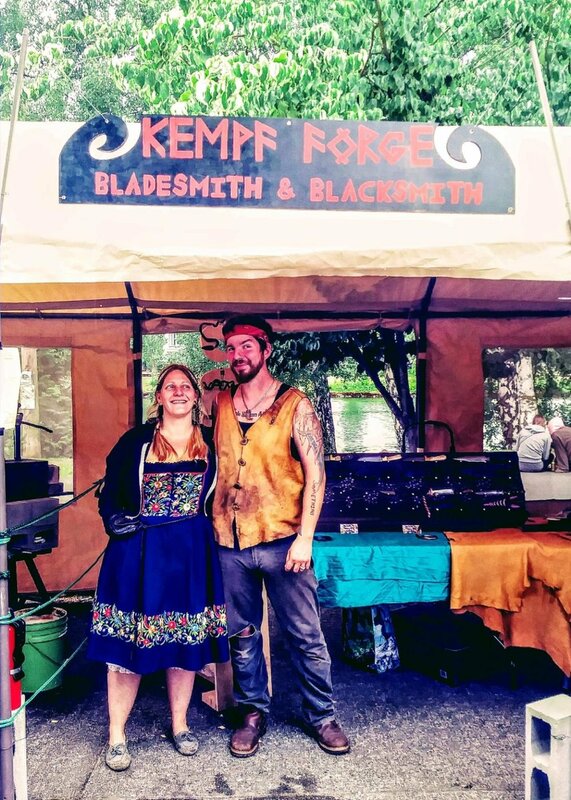 Myself and my Lovely Wife Sami at the Fremont Solstice festival in Seattle. I have loved knives since childhood. I got my first knife at age 6 and it has been a lifelong fascination for me. I forged my first blade in 2015, after over a year of gathering and building the necessary equipment. I have not stopped since then. This art has captivated me from the first time my hammer met hot steel. I am entirely self taught, mostly from books. I learned smithing the hard way. I was living on the side of a mountain with not so much as a cell phone signal, so this was an act of necessity. In a world run by machines, where objects are identically mass produced by the millions, it is important to me to create objects with soul, objects that are unique one of a kind pieces of functional art. Our species has used blades for our entire history, and they are still one of the most versatile tools we have. Deadly and gorgeous, Symbolism and function combined in to one tool.